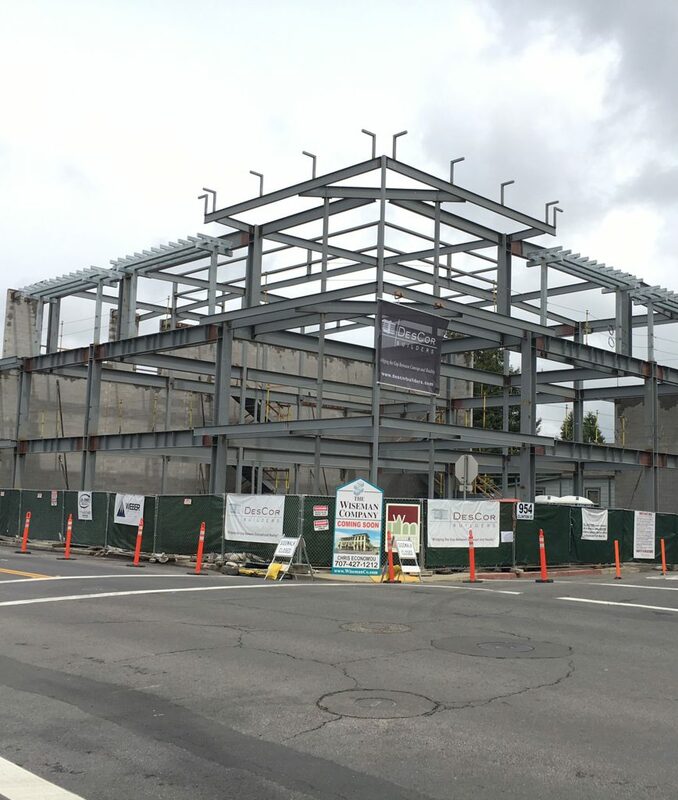 Located in Downtown Napa, the 20,462 SF, steel-frame, mixed-use, three-story Class A building is a new commercial infill project providing ground floor, street level retail / restaurant space with two levels of professional office space above (all the office space has been preleased). Amenities include: state-of-the-art energy management systems and high-speed data and communications connectivity. 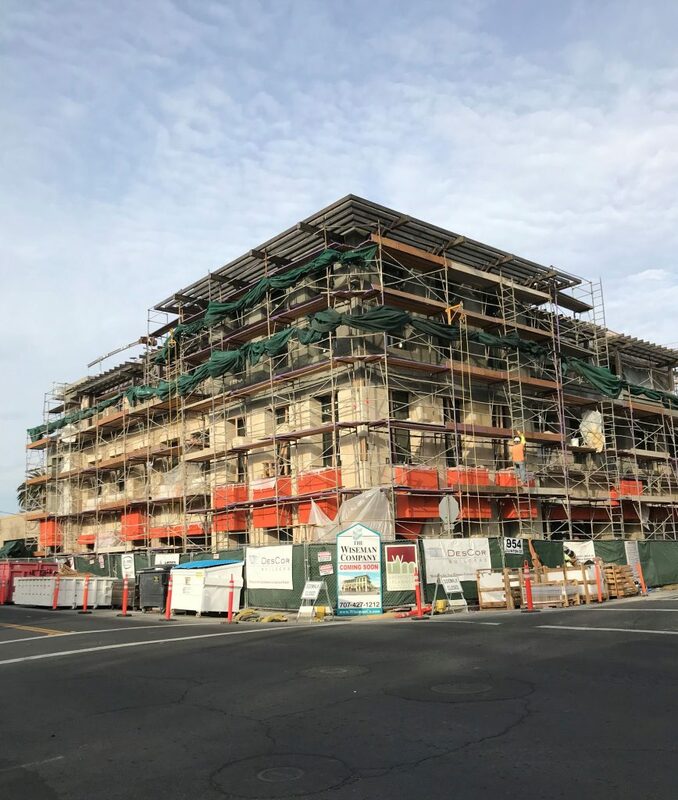 The project is designed and built to the highest architectural standards with the goal of providing a unique, high quality enhancement to the vibrant fabric of downtown Napa. 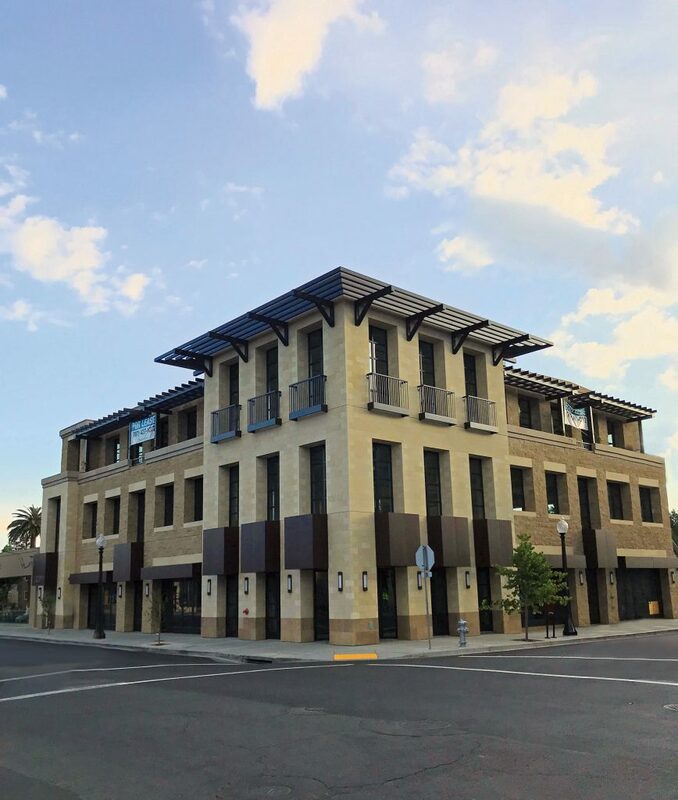 A number of existing and past downtown buildings were studied, and materials, massing and fenestration that draw from downtown Napa’s architectural heritage were incorporated into the design. Narrow windows with distinct vertical orientation provide a strong visual statement. The massing steps across the façade from the corner further reinforce the nature of the building within its urban context. The third floor is set back to support the transition to the future lower development to the north. Broad horizontal openings at the street level provide for a strong inside-outside restaurant experience as they actively engage in sidewalk hospitality.The building is clad using three colors of natural limestone. A light buff colored limestone with honed finish is used for the main corner element, lobby entrance, and then repeated for windowsills and lintels. A darker limestone is used for the column bases of the corner element and lobby entrance in a slightly rougher, brushed finish. The third mid-tone stone is used for the main building body in a rough, split-face finish. Steel trellises and balcony railings are painted dark bronze to match the aluminum window frames.